Live room light fittings. 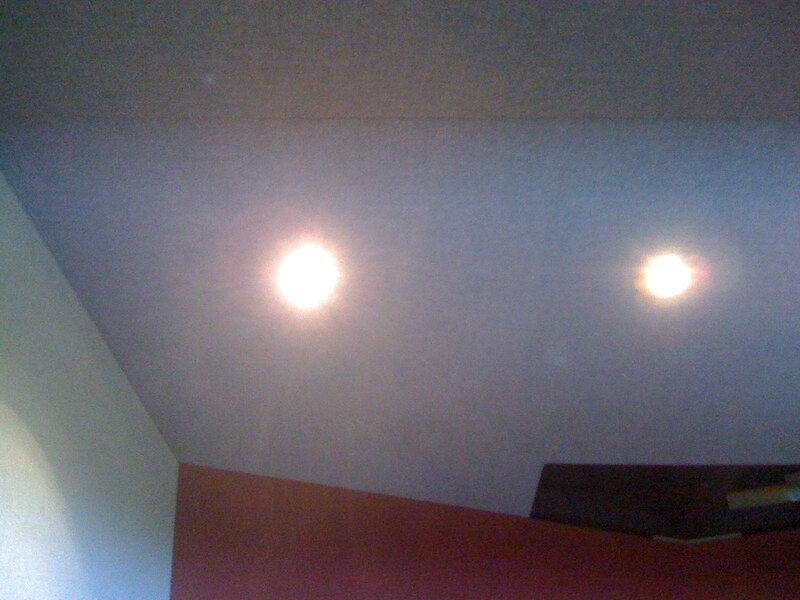 UFOs overhead. 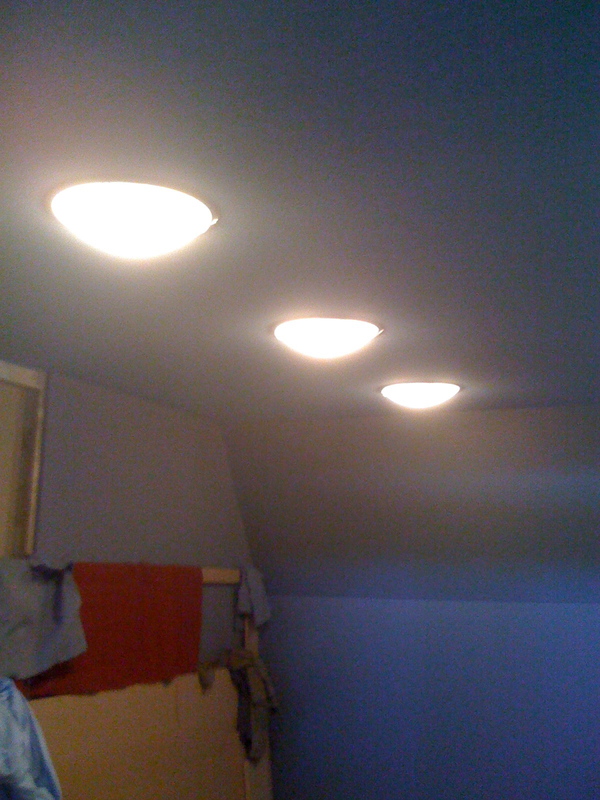 In the live room we’ve gone for the flying saucer look, with low-energy bulbs to reduce the carbon footprint and also to avoid the generation of heat (once the door is closed no heat will be able to escape from the building, so it’s important for me to remember to power down ever time I lock up). 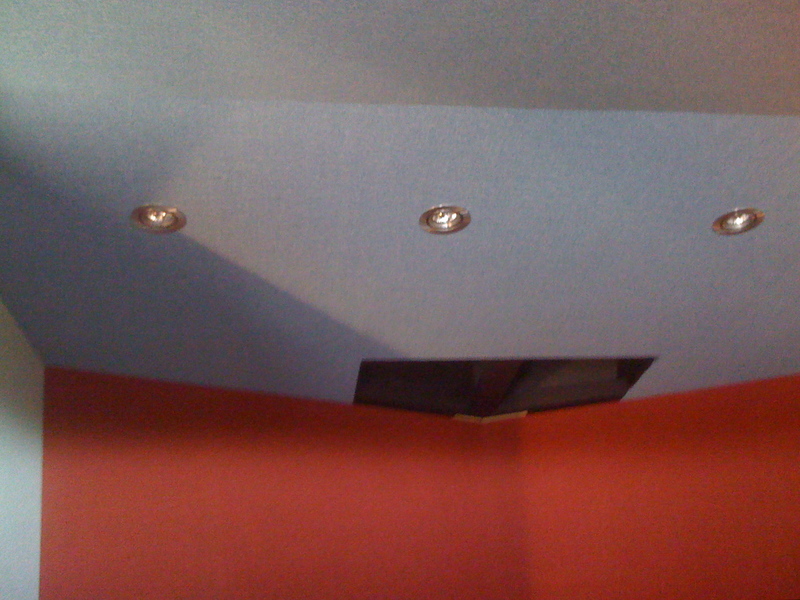 The control room lights are now also fitted – these are the heat-proof boxes we saw Artis building a while ago. They can be angled front to back, and there are eight of them in two strips of four. 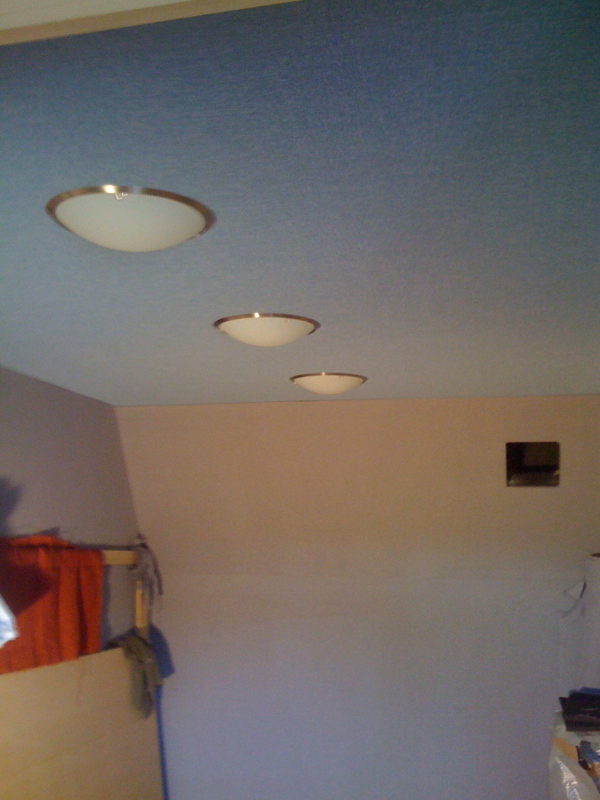 Control room light fittings - these will be directly over the engineer/work area. Now that all the hessian in the control room is fitted, and the doors are at full thickness, it’s possible to get a feeling for how the room ‘feels’ sonically, combining the effect of the hessian, rockwool, room design and bass traps. And I’m delighted to report it’s completely ‘dead’ – just what you want in a room used for mixing. It has that curious quality of anechoic environments – being so quiet that you can hear the blood vessels in your ear, and you feel like your voice can’t be heard by others because there are no early reflections. Jeff says this (the feeling of airless isolation) is why he hates being in studios – he loves building them but as soon as they’re finished he can’t wait to get out! Personally I can’t wait to see exactly how loud my Genelecs will go when I turn off the bass lift. And it means I won’t have to practise my banjo in the garden any more.